Please join us for a special day with award-winning author Nancy Pickard! In the morning session, Nancy will discuss her successful creative writing career. The afternoon session will offer an interactive workshop for writers of all levels. Book signings will follow both sessions. The event is free but space is limited: please RSVP below [reservations are now closed]. How to begin being a writer, how to become a better writer, how to write what you love for as long as you love it. How to get through the hard parts of the writing and of the writing life. For this lively, hands-on workshop, bring any of the following: something you’ve written or something you’ve read and admired. A chapter, several chapters, a poem, a short story, a published novel or short story (by you or anyone else). The idea is to have some writing in front of you to mark up, to make notes on, to detect problems, to improve. When you leave this workshop, you’ll be a better writer, in either large or small ways, and that’s a promise. Nancy Pickard is the author of eighteen popular and critically acclaimed novels, including the Jenny Cain and Marie Lightfoot mystery series. Her work covers an amazing span of the mystery world, from the classic cozy to private eye stories, and from humorous mysteries to psychological suspense. Nancy has won the Agatha, Anthony, Macavity, Barry, and Shamus awards for her short stories. 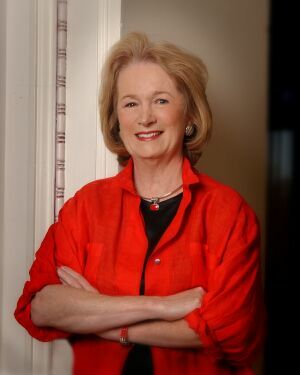 She is a four-time Edgar Allan Poe award nominee, a Mary Higgins Clark award finalist, and a recipient of Lifetime Achievement awards from Malice Domestic as well as Romantic Times. In her hometown area that includes both the Missouri and Kansas sides of the state line, she has received The Thorpe Menn Award from the Kansas City, Missouri branch of the American Association of University Women and the Don Coldsmith Award. Two of her novels, The Virgin of Small Plains and The Scent of Rain and Lightning have been named Kansas Notable Books. The Virgin of Small Plains was the Kansas Reads Book of 2009. The Scent of Rain and Lightning was made into a feature film. She is a founding member and former president of Sisters in Crime, the international organization dedicated to the advancement of women mystery writers, and she is a former national board member of the Mystery Writers of America. She founded a local chapter of Sisters in Crime called, “Border Crimes,” for which she served as the first president. For more information, please visit www.nancypickard.com. Sponsored by Sisters in Crime; Sisters in Crime-Colorado; Metropolitan State University of Denver College of Letters, Arts, and Sciences Dean’s Office; Metropolitan State University of Denver Department of English Arts Committee; and Sigma Tau Delta English Honor Society.